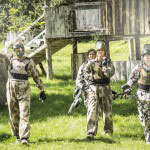 100%, that‘s how sure we are you‘ll have loads of fun if you choose this activity that hasn‘t ever failed its purpose. 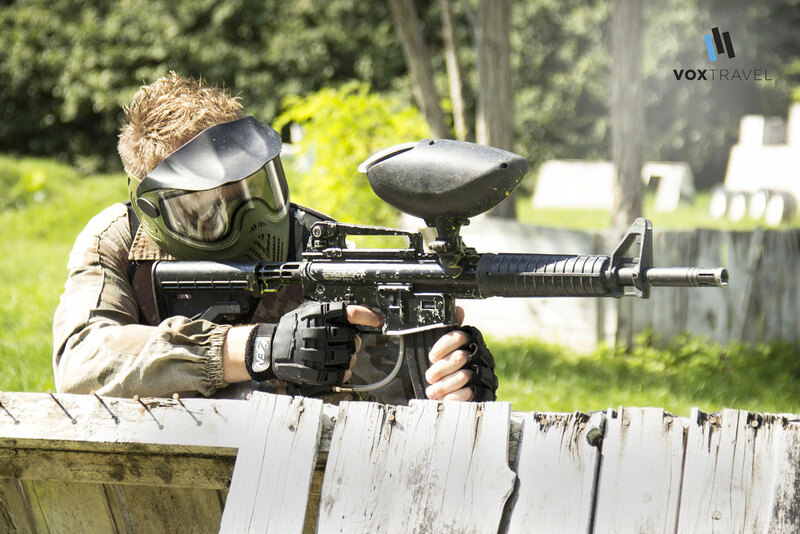 Paintball will make you forget all your problems and the only thing you‘ll care about will be not to get hit by your enemy or not to laugh too loud. 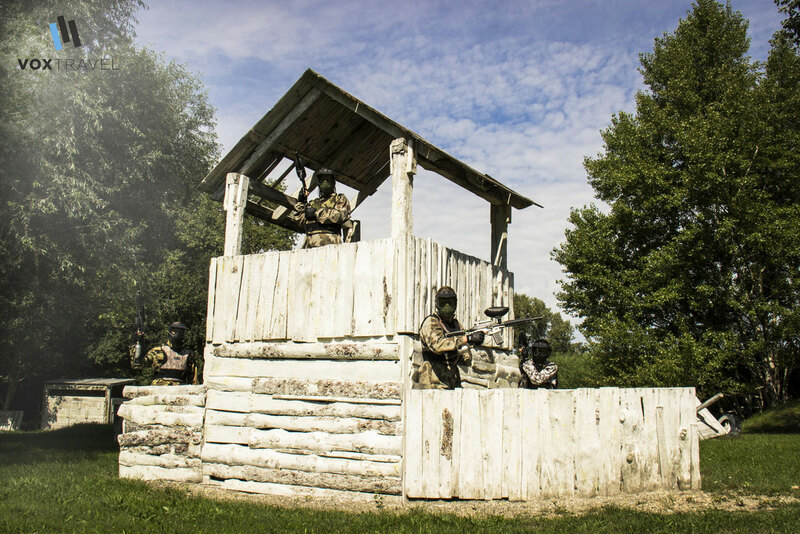 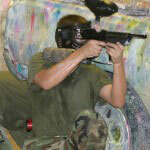 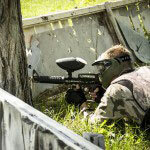 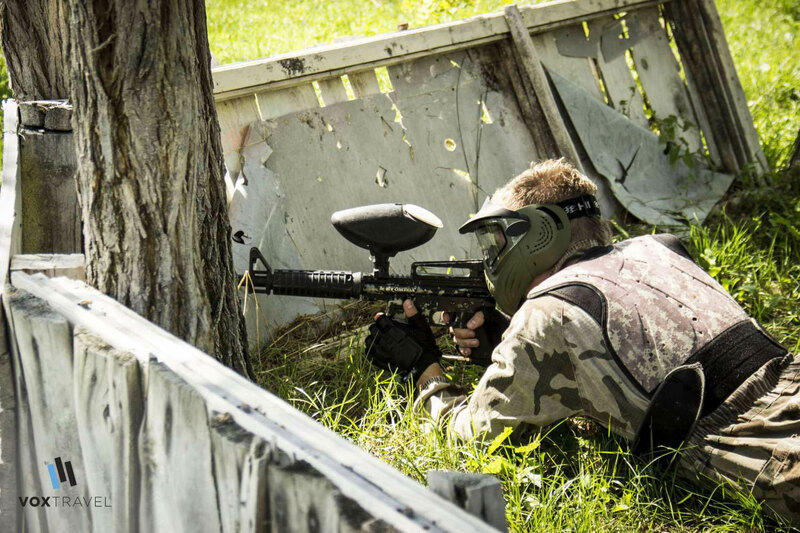 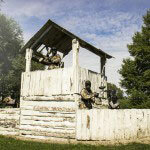 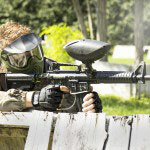 The activity takes place at an outdoor paintball field full of various props like wood tank, cannon, ditches or wood castle you can hide behind. 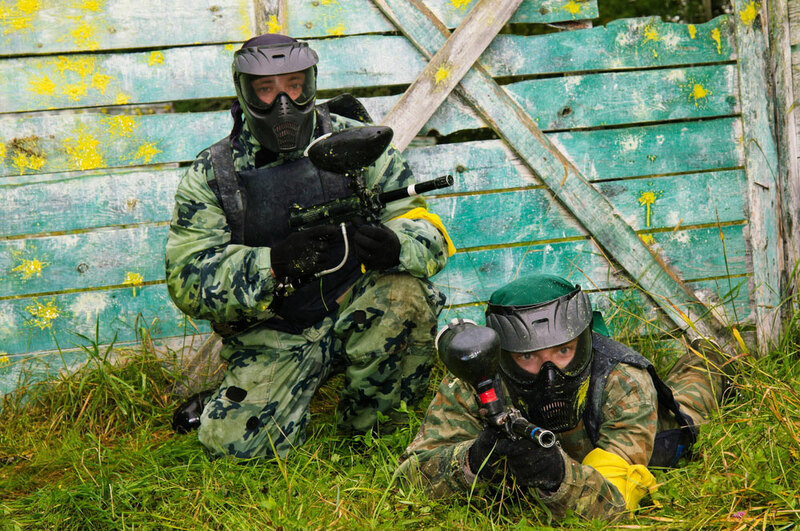 You can play for whole 2 hours, which is pretty enough and you‘ll have 100 balls to play with. 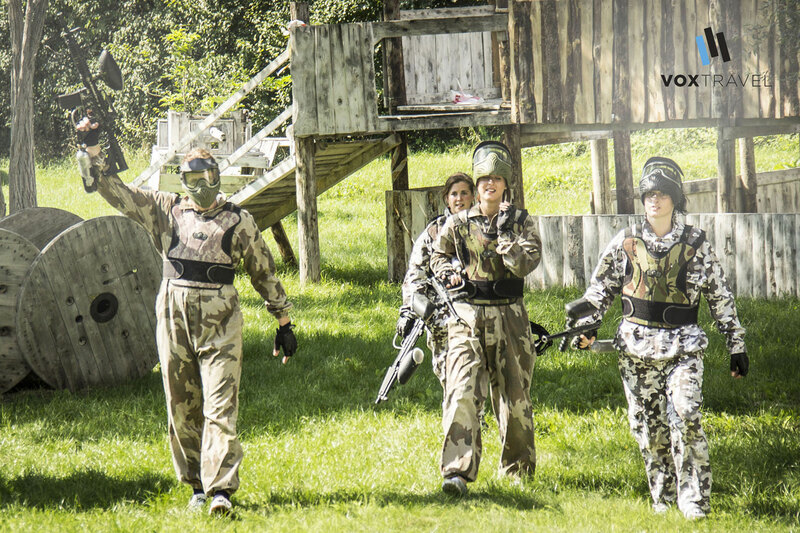 Of course you‘ll be accompanied by our guide. 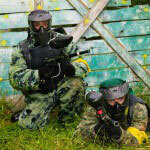 Include this fun activity to your stag do program and enjoy the game.